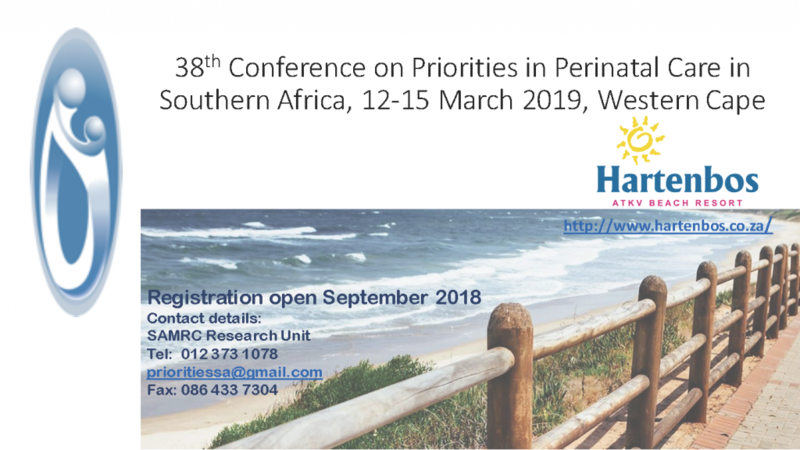 We also invite you to download the Child Health Priorities Conference 2018 flyer. Please “Like” the Priorities in Perinatal Care Facebook page for regular updates and additional information. Please note, Workshops Anonymous closed at the end of March 2018 and will no longer be running the Priorities Conference or KMC Workshops. Future conferences and workshops will be coordinated by members of the SAMRC Research Unit for Maternal and Infant Health.